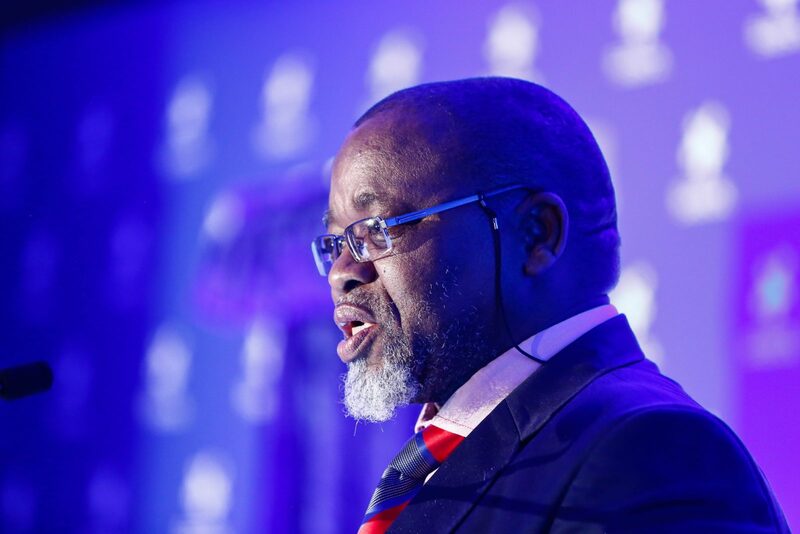 Mineral Resources Minister Gwede Mantashe released the Mining Charter on Thursday morning. Representatives of mining communities say the drafting process was flawed from the outset. For over a decade the community of Xolobeni, Eastern Cape, has been split over an application by Australian company Mineral Commodities’ (MRC) application to open a mine in the area. Mineral Resources Minister Gwede Mantashe visited on Sunday, angering mining opponents before he even arrived. The Amadiba Crisis Committee (ACC), the organised opposition in Xolobeni, said the local headwoman and her indunas weren’t notified of the meeting. Zanozuko Sigcau, whose position as leader of amaMpondo aseQaukeni is contested, had a strong role along with other mining advocates. The ACC said their members were sidelined. Riot police intervened as they protested. They were tear-gassed and prominent attorney Richard Spoor was arrested after he pleaded with Mantashe to allow those against mining to meaningfully participate. The ACC said the ANC bused in supporters to support mining. “A propaganda meeting for mining in Xolobeni was pushed to the bitter end by ANC leaders,” said the ACC in a statement. Xolobeni’s divisions between community activists, a mining company, its local supporters, and the department of mineral resources (DMR) have drawn national attention. Civil society groups say it’s another example of the DMR’s failure to engage communities, a failure they say defines the drafting of the third Mining Charter, released by Mantashe on Thursday. The ACC’s struggle is about resisting mining in the area and fighting for the right to give consent to mining, rather than merely being consulted. But its attempts to win agency over Xolobeni’s future and the ANC government’s alleged preference towards mining companies – which comes with investment, jobs, and deals for a connected few – reflects complaints from community groups around the country. Despite a moratorium on mining in Xolobeni, the ACC is adamant Mantashe has given MRC the go-ahead. He denied the claim on Thursday but emphasised the need for both mining and tourism in Xolobeni to accelerate development. “No community member, no traditional leader of the coast and no leader of ACC, not one person who has been affected since 2002 by the greed of MRC and its Black Boer alliance in Eastern Cape and top leaders, no one who is opposed to mining, spoke to Gwede Mantashe during the whole day,” said the ACC in a statement on Sunday’s meeting. Mantashe said an ACC member spoke, along with other local stakeholders who were mostly supportive of mining. He suggested that the group has intimidated mining supporters from speaking. The minister emphasised his willingness to continue engaging the ACC but said Sunday’s meeting was disrupted by rowdy school students and the police decided to intervene. Civil society groups say the lack of meaningful consultation with communities was common throughout the Mining Charter drafting process, despite a February court ruling ordering the DMR to engage and address communities. “We engaged people as much as we could so anybody who has a different view has a right to have a different view,” said Mantashe. He said 11 meetings were held across the country and community groups were recently invited to the DMR’s office and held a productive meeting. Meshack Mbangula, national co-ordinator of Mining-Affected Communities United in Action (Macua), said the minister failed to adhere to the court order. “Gwede Mantashe, all in all, doesn’t recognise communities and he has never done a fair participation (process) where communities have given their input,” he said. Centre for Applied Legal Studies (CALS) Attorney Louis Snyman said the DMR improved its engagement with communities but it started from a “very low base”. “I think the DMR saw us as development stakeholders to the drafting of the Charter, but we were second rate stakeholders at best,” he said. CALS represented Macua and two other mining community associations in their court application to be included in the drafting process. Snyman said the meetings held by DMR across the country were “very haphazard”. Sometimes communities would receive only 24 hours notice to get to a remote area with no logistical support. Sometimes community leaders were barred from invite-only “public” consultations. Bench Marks executive director John Capel slammed Mantashe’s visit to Xolobeni, comparing him to former minister Mosebenzi Zwane, and claiming the Xolobeni visit represents the department’s ongoing failure to engage communities. “For us, (Mantashe) is also captured and although initially we welcomed his appointment, hoping for a more rational person with integrity, this has been a rude awakening,” said Capel. “There’s a lack of engagement with mining communities across the spectrum… The DMR seldom talks to communities,” he said. Capel said mining companies speak to traditional authorities and the DMR, which he said generally supports mining despite the consequences, and community members are left out of the conversation. “This is very, very typical. They don’t engage communities. Mines are always looking for consent and they’ll get it any way they can,” he said. For those representing community groups, the Mining Charter includes some broad improvements that will be implemented in a system that has failed to hold companies accountable to their commitments. They want fundamental changes to the system’s foundations. The new Mining Charter requires companies to have 5% community ownership and to meaningfully contribute to community development. Transparency over trusts holding the equity will be crucial to their impact. The next big fight, said Snyman, won’t be over the details of the Mining Charter, which outlines transformation objectives and works in conjunction with the social and labour plans companies are required to have by law. It will be in places like Xolobeni and other communities across the country who want the right to refuse mining to take place in their areas. The ACC went to court in April to argue that communities should have to give consent, rather than just be consulted before a mining license is issued. The government currently owns the mineral resources under the ground and can move a community to proceed with mining, even if they reject the proposal. Mantashe appeared adamant mining should go ahead in Xolobeni. “We are going to engage people in Xolobeni and our view is we should engage them and talk to all of them and find a solution. The area needs development,” he said. * Indepth coverage of the Mining Charter to follow.